On April 12, 2017, at 12:32 p.m., Galloway Township Police Department received information that a juvenile resident had obtained parts to assemble a firearm. 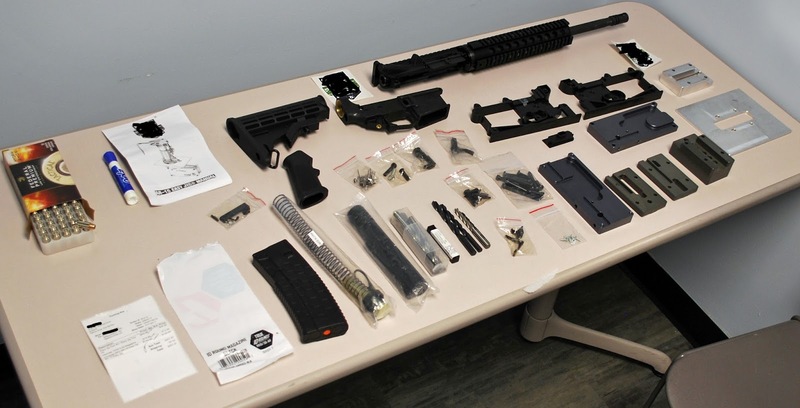 After further investigation the juvenile was arrested and police seized all the parts and tools required to assemble a fully functional semi-automatic AR-15 rifle. Ammunition for the rifle was not located. Police also seized hollow point ammunition for a .40 caliber firearm. A firearm capable of firing this ammunition has not been located at this time. In addition cocaine was seized.